The UU Santa Fe campus is available for weddings, memorial services, and other milestones that mark our coming in and passing through. For campus rental information, click here. To reserve your date, contact our Office Administrator. When you and your beloved are ready to make your commitment to one another public, UU Santa Fe is happy to help. Fogelson Hall, our Library and our Courtyard are lovely for on-site weddings of various sizes and our clergy are happy to officiate at ceremonies in nearby Santa Fe venues. If you and/or your fiancée are members of UU Santa Fe, Rev. Gail would be delighted to work with you to craft a ceremony that reflects your relationship and the commitment you are making to one another. Not a member? We have several affiliated clergy who would be delighted to assist you. Celebrating a milestone anniversary? We’d love to help with that as well! UU Santa Fe affiliated clergy are available to officiate your wedding. It is both our policy and our Unitarian Universalist values that we officiate LGBTQ weddings! To reserve our space, contact our Office Administrator. Rather than dwelling on what may happen after death, Unitarian Universalist memorial services focus on comforting bereaved friends and family by celebrating the life of the beloved person who has died. Because each person is unique every memorial service is different. Rev. Gail is available to help craft memorial services for or with members of the congregation. Affiliated clergy are available to help with services for non-members. Each year we honor all of the members of our congregation who have died in the previous twelve months in our Day of the Dead/All Souls Service at the end of October or beginning of November. 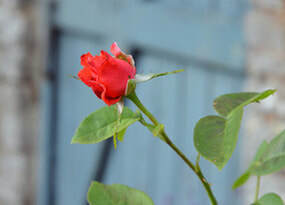 ​At UU Santa Fe we use roses to signal special life events within our community. 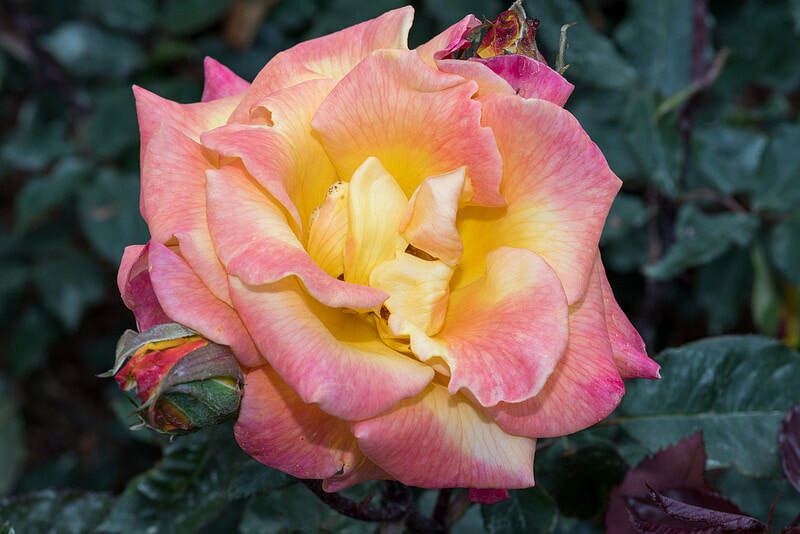 When children are born we honor the birth with a pastel rosebud placed next to the chalice and we use roses in child dedication ceremonies and our high school graduation ritual. When a couple announces their wedding two deep red roses are placed together in a single vase to share the happy news. When a beloved friend or member dies, a fully opened white rose gently signals the congregation that a death has occurred. "​Rather than holding Christian-style baptisms, we have a child dedication ceremony. Unitarian Universalists believe that every child brings new life and hope into the world. We set aside a special time, called simply, the Ceremony of Dedication, for the community to bless the child and celebrate the blessing of this gift of life. The ceremony does not make the life of the child sacred; we believe that life is sacred inherently. When we dedicate a child we acknowledge the truth that each child's life is sacred and hold that truth in the light of our faith. There is no “standard” UU Ceremony of Dedication, and each service may use different words and elements from family, cultural and religious traditions. As we join together to name and dedicate the child and ourselves, the identity and values of the church community and the family give the ceremony meaning. We affirm our commitment to nurture the child and hold the child in the embrace of community.